Activist hedge fund Elliott is keeping up the pressure on French drinks group Pernod Ricard, which owns Jameson Whiskey maker Irish Distillers. Elliott said that while Pernod's results this week were good, it still wanted more in terms of corporate governance and steps to boost growth. Elliott, which has built a stake of just over 2.5% in Pernod, has called on the family-backed group to raise profit margins to bring them more into line with British rival Diageo, and wants better corporate governance at Pernod. Elliott issued a statement today in response to Pernod's results this week, in which the group raised its profit growth outlook for 2018-2019. 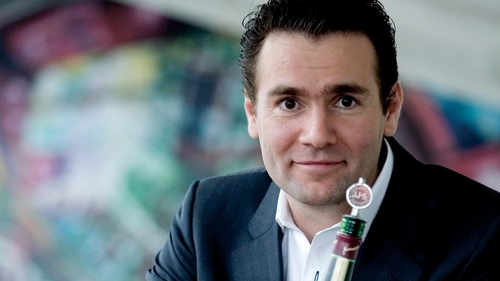 "Pernod's half-year earnings announcement confirmed the strong growth potential and solid financial performance of the company. It also reflected a first small step in starting to address the company's shortcomings in operational efficiency," Elliott said in a statement. Elliott nevertheless added it felt Pernod's strategy plans could be "more ambitious." Elliott said Pernod's targeted savings of €100m and a margin step-up of 50-60 basis points per year over the period FY19-21 were "modest goals" for a company with an EBIT (earnings before interest and tax) of around €2.5 billion that operates at close to a 5 percentage points EBIT margin discount to its closest peer. "Elliott trusts that Pernod's management will continue to engage in a mutually constructive dialogue to deliver much needed additional improvements while capturing the strong growth of the Company's underlying markets," the hedge fund added. Last month Pernod Ricard took a step towards improving its governance, naming Patricia Barbizet to the newly created role of lead independent director. Company chief executive Alexandre Ricard, the 46-year-old grandson of the firm's founder, made sales growth his top priority when he took over in 2015 and has defended his long-term value strategy.